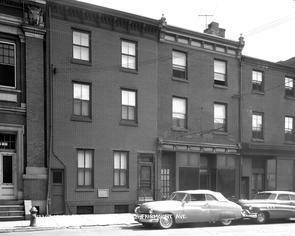 Caption on photo: "Contract #S-1958, 423-21 Fairmount Avenue". Residential buildings with empty storefront on ground floor. Cars parked in front.